EDINBURG — Region One Education Services Center board members, administrators and area school districts superintendents met Thursday morning to evaluate new state accountability results that placed them at the top of the performance list among all state regions. The Texas Education Agency recently revealed this year’s report cards for all school districts, also premiering the first official A-F grades at the district level, as the agency phases out the “pass-fail” system that rated districts on a “Met Standard” or “Improvement Needed” basis. The ratings placed Region One, which covers Hidalgo, Cameron, Jim Hogg, Starr, Willacy, Webb and Zapata counties, as outperforming other regions on most categories. Among regions of similar size, Region One was the top performer in the areas of percentage of districts within the region that meet standard with 100 percent of its districts meeting the mark, followed by Region 11 in the Fort Worth region with 98 percent, and Region 13 in the Richardson area with 96 percent. The Valley region was only outperformed at the campus level, with 99.2 percent of its campuses meeting state standards only surpassed by Region 19 in the El Paso area with a 99.6 percent. The overall region had a total of 10 districts with A ratings, the highest letter-grade obtainable. When it comes to the percentage of high performing districts — A or B grades — Region One had 81 percent of districts scoring such grades, ranking at the very top when compared to similar-size districts along with Region Four in the Houston area. In this category the state average was substantially below at 61 percent. The region was reportedly also the one with the highest number of districts earning a postsecondary readiness distinction with 14 awardees. Three of these awardees were among five districts statewide to earn the distinction for five consecutive years — Los Fresnos, Sharyland and South Texas. During the meeting, all superintendents with high-performing districts and TEA distinctions were awarded a commemorative plaque. The list was long and administrators pointed out this year also marked the most awarded at the region level. Cornelio Gonzalez, executive director of Region One, attributes the success a legacy of collaboration between area districts, higher education institutions and other partners. Even as TEA made changes to take some areas into higher consideration when rating districts, such as college and career readiness and closing the gaps, he said the region had also made strides since before to consider and improve those areas. The focus on not only offering these paths but being in constant communication with educators along the pipeline is crucial, he said, as they need to make sure that instruction is align to help students transition from grade to grade and eventually to college. These recent performance reports place the Valley and Region One in the center of attention for breaking preconceived notions of a correlation between high-poverty areas and low-performing districts and campuses. Commissioner of Education Mike Morath, said the fact that the region outperformed deserves acclaim, but what are the next steps in ensuring the momentum continues. 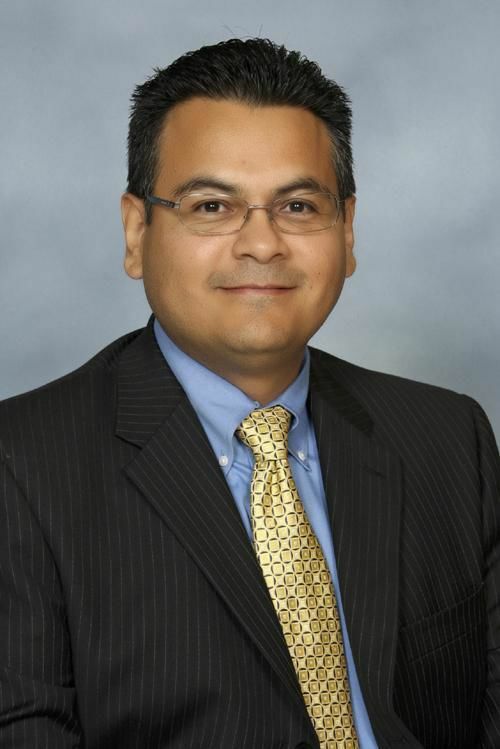 “It’s all about the expectations that we set upon every student and every teacher that no matter where any student came from, that they’ll be college ready,” said Hidalgo school district Superintendent Xavier Salinas, whose district received an A score. Another A-rated district was Edinburg, which also received a postsecondary readiness distinction. Superintendent René Gutiérrez said having a staff mostly composed of locals, helps them better understand the needs of the region including how to cater to the specific culture and environment. And while these ratings are not the only measure of student progress considered by district officials, the two superintendents highlighted the importance of this kind of data and said the next step is to evaluate the findings of this particular instrument and starting to work on what gaps need addressing over this school year.